Priced right and must be seen. Great colors, finishes and touches. Upgraded newer stainless appliances. 24” designer tile throughout with no carpet.Granite counters, 42" wood cabinets, floor to ceiling glass, and oversized balcony. Freshly painted including baseboards and doors. New ceiling fans and light fixtures. Live at North Star and enjoy a 15, 000 sq.ft clubhouse with business center, meeting rooms, theatre, aerobics and fitness center, steam & locker rooms, olympic size heated pool and spa spread out on 12.5 waterfront acres. Marina with slips available for lease. Walk down the marina to four waterfront restaurants. 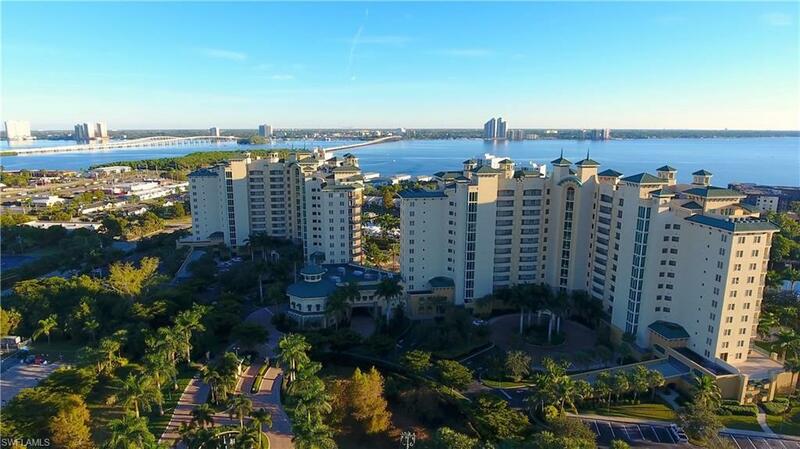 Spectacular views of marina, river and the skyline of downtown Fort Myers. A free trolley ride away to the restaurants, shops and galleries of downtown Fort Myers newly revitalized River District.